These days we don’t talk much about demon possession. 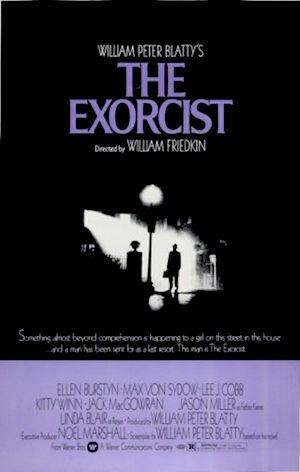 Yes, popular horror films such as The Exorcist, with their graphic portrayals of demonic possession, do make the rounds in our culture. But most respected health professionals think that a belief in possession by demons is an irrational throwback to earlier, more superstitious times. Today we have a much more scientific view of life than they did in Biblical times. What they called demon possession, we call mental illness. And that’s not all bad. There certainly is less social stigma attached to being mentally ill than to being demon-possessed. But it is also a symptom of the reluctance of educated people today to accept the idea that there are spiritual forces—let alone spiritual personalities—influencing us all the time. Science aims to explain everything through purely physical and biological processes, without resorting to unseen entities from another realm. And just as most people today no longer believe that evil spirits cause physical illness, we are also trained to think of mental illness as the result of malfunctions of the brain rather than of evil influences from spiritual realms. This certainly does take away much of the fear and social stigma associated with the idea of demon possession. But from a spiritual perspective, it also takes away some of the most powerful ways to approach what we now call mental illness. Yes, the medical and psychiatric world has some impressive tools at its command for controlling mental illness. But their methods commonly come at the expense of not dealing with the deeper causes. They tend to control, but not cure, the mental and emotional instability that plagues those who struggle and suffer with conditions that could aptly be called a personal hell. And the drugs prescribed by psychiatrists commonly have their own side-effects, which can include a numbing of the thoughts and emotions of the people who use them. 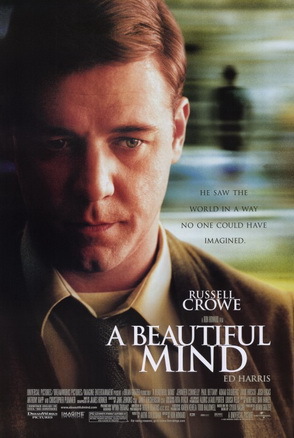 That’s one of the reasons mathematician John Nash (1928–2015) ultimately chose not to take the psychiatric drugs prescribed by his doctors, as dramatized in the 2001 movie A Beautiful Mind. What can we say about mental illness from a spiritual perspective? Medical treatments do have their place. The forces tearing us down mentally and emotionally can be powerful. Even people who are spiritually aware may need the assistance of standard medical and psychological treatment to help them keep their lives on track. Still, I have come to believe that the only true and lasting cure of many mental illnesses comes from a living relationship with God—preferably within the fellowship of some kind of church, spiritual growth group, or support group. Of course, there are some mental illnesses that are entirely physical in origin—such as inherited diseases and congenital handicaps that prevent people from fully maturing mentally. But for most adults with normal brain capacity, I believe that the causes of mental illness are primarily spiritual. Let’s be clear: this does not mean that people who struggle with mental or emotional instability are particularly evil or sinful people. We all have our struggles. Some of those struggles are more mental and emotional in character, while others are more physical and social. Yes, it’s true that if we keep on making bad life choices, it can eventually send us off the deep end mentally and emotionally. But we may also be struggling against influences beyond our control that have gradually torn down the structures of stability in our mind and spirit. Just as we can be physically sick either because we have lived in an unhealthful way or because we are stuck in an unhealthful environment (see “What is the Source of Human Fragility, Sickness, and Disease?”) we can be spiritually sick both through our own choices and through physical, emotional, and spiritual injuries that have been dealt to us by the people and the environment around us. In other words, the point of saying that mental and emotional instability has spiritual causes is not to point fingers of blame and shame, but to provide a more powerful way to deal with that instability—no matter whether its cause is inside of us or outside of us, or a combination of both. If we look at the spiritual symbolism in this description, we can gain a deeper understanding of the psychological reality that is expressed overtly in mental illness, and more subtly even in people who think of themselves as being mentally stable. Because what we call “mental illness” is really just an acting out of forces that are at work in all of us—but that are better controlled and concealed in some people than in others. First, this man lived in the tombs. The tombs referred to in the story were caves in the cliffs along the shore of the Sea of Galilee, which were used as tombs for dead bodies, and were therefore considered ritually unclean by the ancient Jews. Spiritually, these tombs represent the mental and emotional death we experience when the life and love in us is destroyed by crippling encounters with the darker side of ourselves and of the people and forces around us. We live in the tombs spiritually when we cannot have a full, happy, and outgoing life because of the inner demons that continually tear at our thoughts and feelings. We may try to control these dark, destructive thoughts and feelings in various ways, just as the people of that region tried to control the demon-possessed man by binding him with chains. To use a common example that falls well short of mental illness: if we have a compulsion to overeat, we may try to bind ourselves with strict diets. But they usually don’t work. After forcing the diet on ourselves for a while, we tend to tear off the chains and go back to the way we were living and eating before. Yes, some people manage to make it work. But for many people, external strictures can’t control their inner impulses any more than the chains that bound that demon-possessed man could control him. Night and day he was among the tombs and in the hills. This is a metaphorical description of the manic-depressive condition before it was ever labeled that. Night and day: sometimes things are dark as night, other times they are as bright as day. Sometimes we struggle with dark thoughts and feelings, other times we have joy and happiness. And so we are among the tombs and in the hills. In our spiritual nighttime, we feel close to death inside of ourselves—and may even become suicidal. That’s when we are in the tombs. But then we may have times of great spiritual insight, when we metaphorically climb the hills to gain a higher view of life, and of our own predicament. These times of insight and inspiration give us a sense of hope that helps keep us going through our darker times. And yet, just as the times of darkness and spiritual death give way to the spiritual mountains and hills of spiritual insight and inspiration, so our spiritual heights give way once again to the depths of struggle, depression, and despair. Or if the desires and compulsions we are struggling with are less dramatic, our high resolves to give up the destructive habit that has us in its grip gives way to falling right back into the same old habits. When this happens, we cut ourselves with stones. We know that the way we are living is wrong. We know we should do the right thing, and we know what the right thing is. That is the stone of truth: the knowledge of what is right and wrong, and that we seem to be on the wrong side more often than the right. We cannot be blissfully ignorant. When we fall once again, we chastise ourselves, call ourselves nasty names, and consider ourselves weak and stupid because we are not living up to our own ideals. We cut ourselves with stones, punishing and hurting ourselves on top of the harm already being done by our bad habits, wrong behavior, or mental illness. It’s a sorry state of affairs that is described metaphorically by this demon-possessed man. And I’m afraid it is one that many of us are all too familiar with. We don’t have to be medically classified as mentally ill to suffer from the emotional and spiritual effects pictured by the demon-possessed man in the story. And yet, whether or not a psychiatrist would diagnose us mentally ill, the way to lasting inner healing is the same. Perhaps we will need to use medical means to stabilize our mental and emotional situation for a longer or shorter time. Some people whose cases are very severe may have to remain on psychiatric drugs for the rest of their lives as part of their regimen of facing and dealing with their inner demons. But it is only when we do what the demon-possessed man did that we begin the process of deep spiritual healing that is necessary for us to be made spiritually whole and in our right minds. What did the demon-possessed man do? This man didn’t just stay in the tombs. When he saw Jesus, he came out to meet him. When he became aware of the power of God approaching, he took the initiative and approached that power. And he didn’t do it half-heartedly. A few verses later (in verse 6), it says that he ran and fell on his knees in front of Jesus. This is the element missing from all purely medical and psychiatric approaches to mental illness. The practitioners of these methods may be skillful in dealing with physical and chemical malfunctions in the body and brain, and even with some of our psychological and emotional imbalances. But because they deny the reality of spiritual forces acting upon us, and avoid any reference to God—let alone calling on divine power for help and healing—they can never deal with the spiritual roots of what our society calls mental illness. They can never deal with the presence of inner evil, of our natural tendency toward self-absorption and toward focusing on material-world possessions and desires. Science, as powerful a tool as it can be for understanding and harnessing the materials and forces of this earth, has no power whatsoever to approach and deal with the spiritual levels of a human being. Only God, and a religious or spiritual perspective that recognizes the reality of God and spirit, can face and deal with the inner demons that possess our spirit. Here is the crux of the matter. Whether we have knowingly made choices that led to our present state of mind or whether we were thrust into it by overwhelming forces and events in our lives, we come into a state in which we get used to our particular destructive patterns, and may even gain a perverse pleasure from them. This is certainly true of various addictions. And it is true of other self-limiting and self-destructive behaviors as well. We eventually attach ourselves to them. We think, “This is the way I really am.” And that self-image, together with our continual cravings, leads us to keep right on engaging in the destructive physical, mental, and emotional habits, afflictions, and addictions that are steadily killing us. Only a power greater than our own love, emotion, and craving can break through that evil spiritual legion of inner demons and restore us to sanity and wholeness. Only the greater power of God working in our lives can accomplish it—because God’s love is the only spiritual force in the universe more powerful than the spiritual force of our human loves and desires. Jesus’ boat is landing on our own mental and emotional shores now. The divine power of God is present to heal us now. And if, like the demon-possessed man in the story, we approach Jesus, not walking, but running to bow down in the presence of that divine power, we will begin to feel God’s healing power in our lives. If we open up our hearts and minds to the powerful presence of God’s love and wisdom, we can find healing from the inner demons that possess us. Perhaps it will not happen all at once as it did in the story of Jesus healing the demon-possessed man. We each go at our own pace. For some of us, the healing may take years, or even decades. But healing will come, step by step. In Part 2 we will explore further just how that healing happens. Meanwhile I leave you with this thought: our mental, emotional, and spiritual healing begins when we approach God, and place our life in God’s care and keeping. ‹ Is There a Common Theme in All Religions? Would you say that the snake in the account of Adam and Eve was like an inner demon similar to what you write about in the post? That it was actually Eve who came up with the idea to acquire knowledge perhaps after being jealous Adam’s devotion to God instead of her? Yes, I would agree with that general idea. However, I don’t see Eve as being a literal individual, but rather as representing, along with Adam, a whole early race of human beings. And the serpent, similarly represents an idea and desire that crept into the psyche of that early race of human beings. In particular, it represents a desire to have a sense of independence from God, together with a desire to make decisions based on sensory impressions and outward appearances rather than based on an inner conviction from and trust in God. And in chapter 3, when Eve ate from the tree of knowledge of good and evil, it says that she then gave some to her husband Adam, and he also ate. Clearly the two of them were in it together. But once again, Adam and Eve are not meant to be read as two literal individuals, but as an early race of human beings, and the changes it went through. So it’s tricky to draw conclusions about the nature of the relationship between man and woman based on the story of Adam and Eve. Keep in mind that in the first Creation story in Genesis 1, God created man and woman together, equally in relationship with God. There is more about the serpent, and about Eve and Adam, in the article, “Curses or Consequences: Did God Really Curse Adam and Eve?” See also some of the articles linked at the end of that one, which also deal with the question of the relationship between man and woman. I recently found that semantically both Greek and Hebrew would refer to the wife as ‘woman’ in literature. e.g Adam and his woman is Adam and his wife or the man and his wife. This agrees with the Swedenborg view that to be a wife is of such great importance that is equal to being a woman. It also makes a lot more sense when you apply it to verses such as Matthew 5:28: ‘But I tell you that anyone who looks at a woman to lust after her has already committed adultery with her in his heart.’ This would imply that Jesus was talking about coveting another man’s wife which is in line with the ten commandments. So coming back to Adam and Eve, we see that God commands Eve to submit to Adam as a result of her disobedience (i.e. your desire will be for your husband) and to Adam he says because you have listened to the voice of your ‘WIFE’. So there is something about Eve in this passage. Something about her and the snaker (her inner demon). I think taking a literal view of much of the bible’s statements about women (wives) falls in line with subordination of the wife to the husband as a symbolic representation of the subordination of man to God. Yes, in both Hebrew and Greek the same words are commonly used for both “woman” and “wife.” Then again, the word for “man” is also commonly used to mean “husband.” So this is not something that applies only to women, and not to men. Similarly, Swedenborg considered neither women nor men complete without one another, but considered the two together to be a single angel. So he not only considered “being a wife as being equal to being a woman” (in your wording), but also considered “being a husband as being equal to being a man” (though that is not quite how he phrases it). About woman being subordinate to man, it is necessary to keep in mind that this was a result of the Fall, and not the original state in which God created man and woman. Further, to be completely accurate, God did not command Eve to submit to Adam. Rather, God told Eve that as a result of her actions in eating from the tree she had been commanded not to eat from, her husband would rule over her. In other words, the entire situation of a woman submitting to her husband and her husband ruling over her was not God’s original plan, nor even God’s commandment, but rather was a result of human disobedience and sin against God, which vitiated God’s plan into something that was never meant to be. Unfortunately, the inequality between men and women brought about by the disobedience and sin of Eve and Adam continued throughout the rest of the Bible story, and still continues today—though we are now making great strides toward restoring the original equality in which God created man and woman in the first Creation story in Genesis 1. Paul, however, was writing during a time when that inequality resulting from the Fall was still very much in force and the norm of society. His statements about men and women reflect that societal reality. Swedenborg doesn’t entirely reject the idea that the husband represents Christ and the woman the church (meaning the community of the faithful). After all, God being a bridegroom and husband and God’s people being a bride and wife is a significant theme throughout the Bible story. However, Swedenborg says that in heaven, this representation of the husband as Christ and the wife as the church lasts only one day: the wedding day. After that day, he says, both the husband and the wife together are the church. So once again, it is good not to draw too many hasty conclusions from the various statements about and portrayals of the relationship between man and woman in the Bible. The relationship between man and woman that exists throughout the narrative of the Bible from the mid-point of Genesis chapter 2 onward reflects a falling and fallen humankind that no longer operates the way God originally intended. One of the first casualties of that fall from God’s original plan was the situation in which man rules over woman, and woman is subservient to man. But once again, see the three articles linked above for a more in-depth analysis and explanation of all of this. Thanks for replying. I don’t want to disagree with your excellent teachings for the sake of it but I would just like to offer another biblical opinion. I hope you don’t mind me always raising counter-points. P.S. I have read your links in the comments. > Paul, however, was writing during a time when that inequality resulting from the Fall was still very much in force and the norm of society. His statements about men and women reflect that societal reality. a) Paul says that anyone who comes against this message of what he has to say about women goes against the command of God. 1 Corinthians 14:36.
b) Paul does not imply that his letter is meant to be only for the particular culture but rather because of the present crisis, they may want to hold off from marriage. Which makes sense given the persecution the Corinthian church was facing but other that it is hard to see how he meant his message only for that culture. d) Subordination is not because of a functional nature. It is a spiritual devotion. A woman can do everything a man can do be it in business, politics or work. But though she can do it, she chooses to entrust it to a man out of devotion to God. In the same way Christ could do all that God could do but he chose to be subordinate to God so that the world could marvel at it and God could be given the glory. Hence the verse (1 Corinthians 11:3: But I want you to understand that the head of every man is Christ, and the head of the woman is man, and the head of Christ is God. ). In the same way throughout the bible we see the women directing her glory to the man and the man directing his glory to God. e) I take exception with your statement (‘but rather as representing, along with Adam, a whole early race of human beings.’). It is possible that God could have created other humans before Adam but to one Adam he gave the spiritual breath of life. Because in Romans 5:17, through one man came life and through another man came life. So unless there were multiple Jesus(s), there cannot be multiple Adams. There were both the first of many. g) It’s not just subornation that is important, it is gender roles. Time and time in the bible, we have instructions to men to be generous and kind providers to their families. While the women are instructed to maintain the household, teach the children and keep the name of her husband honourable. This goes to show that God devised a division of labour in marriage. Each gender focusing on a key areas. h) One flesh signifies the coming together of the minds. You see when Jesus told the Pharisees in John that they must eat his flesh and drink his blood, they thought he was implying cannibalism. But no Jesus was talking about how his perfection and righteousness must come onto to that of a person through the conscious decision of the person to say Yes I am willing to accept your offer lord. In the same was marriage a joining of one flesh but it does not say it means the discarding of subordination or gender roles. Jesus never says anything about no subordination to himself or God. I am not judging but just saying that Swedenborg can only be read through the bible rather than the other way around. You are, of course, welcome to believe as you wish. And if you want my responses to all your points, I would be happy to give them. However, for now I will simply say that if you believe that man is meant to rule woman, and woman is meant to be subordinate to man, then you will never have anything more than a “fallen” relationship. God told Eve that her desire would be for her husband, and her husband would rule over her, as a result of her disobedience and resulting fall from what God had originally designed for human beings. And humans have been in a fallen state ever since. If you are satisfied with remaining in a fallen state in which marriage relationships are unequal, with one partner ruling and the other serving, then who am I to say that you can’t or shouldn’t do that? That was one of the main points of the second article I linked for you above. It’s really your choice what type of marriage relationship you want. However, don’t fool yourself into thinking that God commands that woman must be subservient to man. There are many things in the Bible that are said “due to the hardness of our hearts,” as Jesus mentioned. And as long as our hearts continue to be hard, we will be subject to those hard laws for a fallen humanity. The current situation in which the bulk of Christians and other religious folk, and even many non-religious folk, think that man is meant to rule woman and woman to serve man is explicitly a result of the Fall. Do you really want to continue in a fallen state? Real, spiritual marriage is based on an equal union of two people. Any dominance on the part of one and submission on the part of the other destroys spiritual marriage, and relegates that marriage to a natural, fallen state in which there can be no true and full union of souls, minds, and hearts. You can choose for yourself what kind of marriage relationship you want. And whatever you choose, that is exactly what you will get. I take your point about the submission of women arises from the fallen state. But as much as I want to believe it, it is not my thoughts that are important but the will of God. As Paul says even the foolishness of God is wiser than Man’s wisdom. Compromising on the word of God despite your great knowledge of scripture is quite serious. Submission is not about dominance. It is about having faith in each other to fulfil specific gender roles. In fact it was a blessing in disguise to Eve to have God say what he said after the fall. She would not have to go through child birth alone neither would she have to both till the ground and rear a child. She would have Adam to do that for her. She was also going to be emotionally attached to her child. All of this is a blessing to her. If man and a woman cannot learn about trust, love against the odds and obedience through each other, how will they relate to God? Secondly there is no biblical support for your statement that they were to marry to become one flesh after the fall. It was apparent before the fall that Eve was created from Adam. So they were of the same flesh before the fall. So really I see neither a social argument nor a biblical argument for your advocacy of equality. Your interpretations are palatable to a secular audience because they avoid conflict. As I said before, you are welcome to believe as you wish to believe. And you are also welcome to interpret the Bible as you wish to interpret the Bible. Most of your points are addressed in the third article I linked for you above, “Man, Woman, and the Two Creation Stories of Genesis,” in response to similar objections raised by another reader to the earlier article. If you want to discuss those points further, it might be better to do it after that article, where it will be more on topic. Why do you think that different gender roles require dominance and submission? Man and woman can be different, yet equal. And that is precisely how God created them in Genesis 1:26–31. I would be happy to discuss these issues with you further in the comments section on the above-linked post. About the article you linked to, I’ve read similar articles before. What most of them fail to recognize is that the primary cause of fatherless marriages in the U.S. today is that the federal and state governments have largely usurped the role of fatherhood from men, especially in poorer communities, just as they have usurped the role of charity from churches, thus doing great damage to both marriage and the church. But since this is not a political blog, I’ll just leave it at that. Hi Lee. I sort of agree on the matter. I have been told that I lot of mental issues we face these days are not rooted in biological issues, but the way we live. A lot of things like depression and hyperactivity were never as common as they became recently. Depending on how you put it, you could say that I had my own mental disorders. Though that changed when I decided to let God on the steering wheel. I think it really boils down to lifestyle. Godless (for lack of a better word) living puts such a massive strain on our psyche, that we become overwhelmed and cease to function the way we should. I am not sure what doctors have to say about it, but I am convinced that most issues we have, including psychological, start in the head (as in spiritual, not a biological failing). Yes, I have long believed that much of what medical doctors commonly believe is entirely biological is actually the human mind and spirit affecting the body, and bringing about biological changes. Mind you, it is a complex situation. Many of our bodily and mental ailments are heavily affected by physical and biological factors and causes. But our awareness of the psychosomatic aspects of physical and mental illness is also growing, to the extent that it’s not at all unscientific these days to say that the state of our mind heavily affects our physical and mental health. And I believe that the state of our spirit, including our relationship (or lack thereof) with God, has a profound influence on our mental and even our physical health. So while I don’t reject physical causes of physical and mental illness, I don’t think they are the only causes. And the missing element in much of today’s Western approach to physical and mental health is precisely the spiritual aspect that has been largely thrown out of modern Western medical practice. That’s the lack and imbalance that this article and its sequel are meant to address. In the discussion about evil and suffering in the world, a common theme that comes up in most schools of Christian thought- including this one- is that God does not cause suffering and evil. Rather, God permits and works through them in order to achieve a greater good. But while God does not cause suffering, does God do things like *prolong* suffering that is caused by human or natural agents for that aforementioned good? For people with psychological disorders, like invasive thoughts, while God does not cause them, does He maybe prevent that condition from healing as fast as it otherwise could because it’s part of a larger plan? It’s important to note a distinction, also, between God being the source of suffering, and acting to prevent the suffering from going away. To use an analogy, God may not cause you to break your leg, but maybe He will cause you to be stuck with it for a necessary period of time? Another thing I’ve wondered is if God causes us to make mistakes. Mistakes that aren’t necessarily evil. Sometimes we make errors in judgement, say, while driving, mistaking one road for another, and it turns out it was the best wrong turn we ever made (for reasons that later become clear). Or sometimes we’re doing things like crunching numbers and we make errors in calculation that, again, turn out to be blessings in disguise because of the things it in turn opened up for us. Or sometimes we’re reluctant to leave the house because we’re just plain lazy, and it turns out that our laziness caused us to miss an accident we would have otherwise been caught up in. These things are not evil or sinful (though I guess laziness is questionable), and I’m wondering, on top of whether God prolongs evil for a greater good, if God also causes morally neutral errors and misjudgments for a greater good as well. Though it appears as though God sometimes prolongs our suffering, and there are statements to that effect in the Bible and in other sacred books, the reality behind the appearances is that God neither causes nor extends suffering, but is always active to prevent and shorten suffering where that is possible without causing greater long-term damage. The prolonging of suffering is not from God, but from the remaining evil (of various sorts) in us and in our human environment that still needs to be rooted out. To use a human example, a deep wound could be superficially “healed” by putting a bandage over it. But if the wound is not opened up and cleaned out, the likely result is sepsis, gangrene, and possibly loss of a limb. Therefore the pain and suffering from the wound must be prolonged in order to bring abut a full healing. Even in this case, it’s not the physicians that prolong the pain and suffering. It’s the nature of the wound, and what’s required to bring about a full healing due to the depth and severity of the wound, and the contamination in it. The physicians are always working to bring about healing, not a prolongation of pain and suffering. However, in order to do this they must take the time and care to do the job properly according to the nature of the wound. It is always the wound that is the cause of the pain and suffering, however long or short that pain and suffering may be. About your second question, I’m sometimes heard to say that a particular wrong turn that I or someone else took was a “divinely inspired mistake.” But really, this is my humorous way of saying that what we think of as a mistake is actually not a mistake at all, but an action that is, in fact, better in its outcome than what we originally intended to do. The thing is, the human mind tends to follow previously laid down tracks, and do the same thing in the same situation time after time. But that’s not necessarily the best track we could take. Sometimes, I believe, God, through the angels, nudges us off our well-worn tracks to get us on a new and better one. We think of it as a mistake that turned out to have good consequences. But from a spiritual perspective, it is opening up a new and better path to supersede the old one that we were previously stuck on.